Christianity came to Korea in secret in the 17th century. People who traveled to foreign lands learned about Jesus and were baptized. When they returned home, they shared their faith with others. The Korean government did not allow Christians to practice their faith. The Church in Korea was led quietly by lay people for many years until priests and a bishop were brought into the country and hidden from the government. When these Church leaders were discovered, they were martyred. Andrew Kim Taegon was the son of Korean parents who became Christians after hearing the Word of God. When Andrew was 15, his father was executed for being a follower of Jesus. The faith of his father and other brave Catholics inspired Andrew to become a priest, the first born in Korea. Andrew traveled 1,300 miles to the nearest seminary in faraway Macao, China. After six years of training, Andrew was ordained and returned to his country. Members of the Christian community helped him get past the border patrol. The Korean Catholics were overjoyed to finally have a priest who could celebrate the sacraments with them. But in 1846, Father Taegon was arrested and put to death for his faith at the age of 25. Paul Chong Hasang was a catechist training him for the priesthood with Father Taegon. 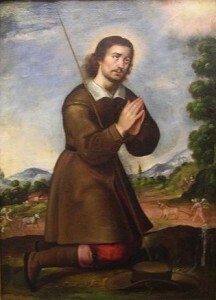 He, too, was captured and martyred. In all, 103 Catholics died for their faith between 1839 and 1867. They were young and old, men and women, peasants and wealthy people. 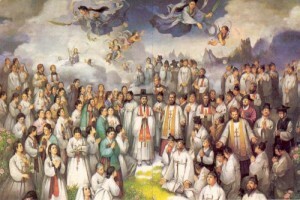 Pope John Paul II traveled to Korea in 1984 and canonized these Martyrs of Korea. We honor their sacrifice. 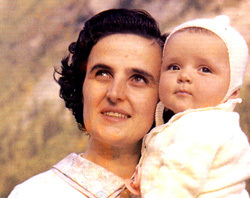 They help us to remember that faith is a virtue that makes it possible to know and believe in God. Their sacrifice also reminds us that we are blessed to live in a country where we are free to live our faith.